Hello again to you and your pets- it’s Thursday. If you’ve ever had a pet become seriously ill, or die – then you’ve probably experienced a tonne of guilt around it. This happened to me when Hoochie died. I was not only his owner – he was the Best Dog Ever, I was a Veterinarian. Yet I couldn’t do anything to help him. Sure I did surgery to remove the tumor, but it had spread to his liver, and he died 3 weeks later. Why did he get sick? Why couldn’t I have done more? If you have asked yourself this question, take solace in knowing that it’s not your fault. YOU are taking direction from the ‘Conventional’ Animal health care industries. 1. Vaccinate often and with many components… The MORE vaccines the drug companies sell, the more profit they make. I am sure that the Vaccine Companies are LOVING the Swine Flu hysteria. Vaccines also get clients in the door- and for Veterinarians, clients are what makes their business, so they are RELUCTANT to have you vaccinate less. But the Vaccines can cause a whole host of medical problems, including Cancer. I gave Hoochie yearly combination vaccines. 2. Pill pushers… We are conditioned to take a ‘pill’ whenever we are ill.
And the Pharmaceutical Industry LOVES that. 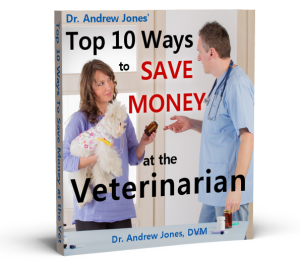 Hence you go to your Vet- your dog or cat will most likely leave with either an injection of some type…or a pill. YET these pills often have some pretty serious side effects..such as liver failure from conventional anti-inflammatories. There are a huge number of alternatives – from acupressure to homeopathy, BUT you aren’t told about them. ..And in fact Hoochie was on a Conventional anti-inflammatory for arthritis. You are BOMBARDED with advertising to encourage your pet to eat some carbohydrate loaded, toxin laddened, dry dog or cat kibble. Many of the Pet Food Companies are LARGE multinational corporations- their GOAL is to MASS produce pet food, and PROFIT. You are TOLD to feed this – in spite of the fact that many of these foods have serious heath side effects. The classic ones are diabetes, and urinary tract disease in cats eating dry, carbohydrate loaded kibble. Cats NEED Animal Protein to survive and thrive. YET most of the commercial cat foods contain carbs, such as corn, as the FIRST ingredient. It is easy to see the fallacy in this when you make a comparison to your own diet. NOT all nutrition can come in a bag. NUTRIENTS don’t survive for months on the shelf. IF you want to live longer, and avoid disease, you need to eat nutrient RICH foods- FRESH fruits and vegetables… NOT only packaged material. The same logic applies to your dog or cat. You MUST feed a variety, and supplement their diet, IF they are to thrive and ultimately fight off diseases- such as cancer. P.S. MUCH of the information that you hear about keeping your pet healthy, and Treating disease is WRONG. They are telling you to Vaccinate often, take the Conventional Medication, and Feed the Carbohydrate loaded, toxin laced Dry Kibble. When in fact that is often NOT the case. But by joining my newsletter, you have become part of an EMPOWERED community of dog and cat owners who are seeking better ways to keep their pets healthy and prevent disease. I look forward to sharing with you much of what I have learned since Hoochie died. P.P.S. For those of you looking to try out what I teach, a very simple and inexpensive way to start is in my Inner Circle. You can see my digital books, webinars, audios and videos – PLUS have a video sent to you door for the cos*t of shipping. Your path to a healthier pet. I too was someone that thought my dog needed vaccines each year. When I spoke to my vet about it she told me truthfully that they do not need vaccines every year and some vets tell their patients this so they come back yearly. Good to know the truth. Also I only feed my dog organic kibble along with some raw foods. There is a big difference in his skin, coat and energy level. Thanks again for this life saving information. Thanks so much for supporting what I have known for a long time, that dogs don’t need all the stuff vets recommend. Vets recommend yearly vaccines, and get mad at us if we don’t get them done every year, because shots make vets LOTS of money. I send lots of folks to your site, because you tell it like it IS, which saves dog’s lives! Thank you so much for your informative newsletters; I have learned so much from them. Unfortunately, it was my beloved dog Bone suffering from cancer at 3 years old that motivated me to find answers. You clearly explain and demonstrate several life-saving and life-extending situations. I also feel your vitamins are a major factor in extending her life for 2 years…and a happy 2 years at that. I just wish I had all your knowledge at my fingertips, as I personally have 3 rescued dogs and 4 rescued cats (all spayed/neutered, naturally). Keep up the good work.